Barsaglina 100%. Barsaglina is a Tuscan grape variety originally from the province of Massa Carrara, and described for the first time in the Bollettino del Comizio Agrario di Massa in 1874. Andrea Mammuccini is the cellar manager. 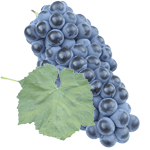 The selected grapes are destemmed and gently crushed and then fermented in small vats (10hl), with prolonged maceration (20 days) and pumping-over alternating with délestages. After devatting and soft pressing of the skins, prompt completion of malolactic fermentation was a necessary condition for subsequent ageing (14 months) in French oak barrels used for the 2nd and 3rd time. Lastly the wine was aged in bottles for 3 months.